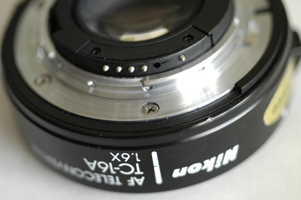 MODIFY THE NIKON TC-16A TELECONVERTER. I bought a TC-16A, even though I knew that it doesn’t work on my D100 or the D200 I was planning to get. But I thought I’ll take it anyway, since I don’t have any usable converter and this one is pretty cheap compared to the other ones. I figured I’ll try to find out why it doesn’t work, since I couldn’t even find any useful information on that. 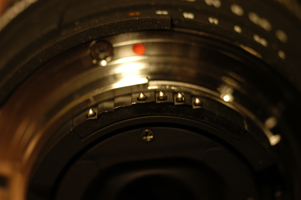 First thing I noticed is the different pin layout on the TC-16A compared to all my other AF-lenses. I’ll call these pins 1 X 3 4 5 X 7 (as seen on the picture of the TC, where the X’s stand for empty spaces). So I openened the Converter to have a look where these pins connect to. There is a CPU inside, just like in any AF-lens. This is the front of the circuit print. It features a NEC D7554G502 “CPU” as its main component. Just for your information: the circuit print continues on the left all the way to the connectors: the top circuit path (top left pin of the IC) connects to pin 1 the next lower one (on left of the top resistor) to pin 3, then the next one down pin 4, then pin 5, and the very bottom circuit path (bottom right pin of the IC) connects to pin 7. This is an IC I found which seems to be compatible. Turn it anticlockwise by 90 degrees to have it in the same orientation as on the picture above (front view). On the back all the connections are visible. Pin 3 (on the TC) which was out of place anyway is connected to the IC in the same way that Pin 6 (on the AF lens) is connected! Research result: JUST MOVE PIN 3 to the (unused) position 6… that’s it!!! A quick note to begin with: Most the feedback I get about this page is that the people tried this modification and lost one of the small golden springs. So please be careful with those – I don’t know where to get any spares!! This by the way is what the circuit print looks like at the other end. So I drilled a hole (1.4mm for those who want to know, or just slightly wider – the metal contact that needs to fit through is exactly 1.4mm wide) in position 6, and made sure the metal contact fits well, and moves easily. I drilled it by hand, NOT with a Dremel or so, but just by rolling the drillbit between my thumb and index finger. It took a little longer, but gave me a much cleaner result. Luckily Nikon didn’t save every milligram of plastic they could and there is already a notch in which the metal contact can slide, without touching the other contacts. Now I soldered a little wire onto the little spring to electrically connect it to its old position on the circuit print. So I just covered that side of the contact with a little bit of cello-tape (I know this is not perfect, but the best Idea I could think of to make the whole process more or less reversible). NOW put everything back together..
A little something (don’t know what it’s called) that moves a switch and this tells the D100 (and other cameras) that the aperture ring has been turned to minimum aperture (and so enables controlling all apertures via the camera). If you cut a piece of hard plastic (I used an old PC CPU fan) into the shape above, it fits really well (in a very good position) in between the Converter and the little cover for the “CPU compartment”. Now we’re really done!! – That’s it! One more note: the Aperture the TC transmits to the Camera is always f1.0, as minimum and maximum aperture. 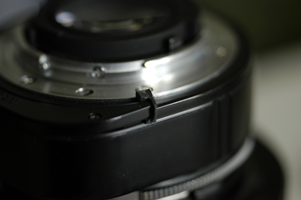 So it is not possible to change the aperture at all. My 500mm (which I mainly bought this converter for) has a fixed aperture, so it’s not quite so bad, but it would be nice if this were different. Since the D200 has AI coupling, there is no physical switch like for the D100. Therefore, the little plastic thingy will not be necessary. However, somehow it didn’t work anyway (same F E.E error). The Trick is: go to CSM (Custom Setting Menu) under f: “Controls”, position f5: “Command Dials”. There, under “Aperture Settings” choose “Aperture Ring”. This means you can’t control the Aperture via the subcommand dial anymore (so you’ll want to switch it back when you put a normal AF-D lens on the camera again). OK, basically it works, but the use is very limited. It’s limited to the maximum aperture of the lens attached. On the D100 that’s it. Nothing you can do about it. On the D200 it only meters for maximum aperture, even if you set it to a different aperture. If you do want to use a different aperture, you’ll just have to dial in some exposure compensation. To overcome the aforementioned limitations, I believe the only solution would be to replace the chip with one that has a range of apertures, and not just “f1” for both minimum and maximum aptertures (this is what imposes the limitations). I will not be held responsible for any problems caused directly or indirectly by following the above instructions/information. Use at your own risk! Hi Xhevi, I can’t give you any info on the chip replacement for the Tamron, but maybe someone else knows something. You don’t need to match the Maximum aperture. You need to match the Aperture RANGE of the lens you want to use – The camera bodies need you to set the lens to MINIMUM aperture in order to be able to set the Aperture from the command dials. All metering is done at Maximum aperture (no matter what value it has), and then the camera checks what you set the aperture to be, calculates the difference, stops down by X EV, and also corrects the Exposure metered by X EV, then takes the photo. So the camera doesn’t use the absolute aperture, but just a relative aperture from the maximum aperture of the lens. So choosing the right maximum aperture is only important for the EXIF data. Unfortunately, tc-16a and my 500mm P do not work good with eachother, I am getting frontfocus which cant be fixed with AF finetune.Plus that I find the quality of the image to degrade quite much, compared to my tc-14b when used with the 500mm P.My tc-16a is just modified in terms of switching the position of the pins, nothing touched on the cpu.Any sudgestions, or it is what it is? @aakash: You either need to also do the second part of the modification (as described in the comments 8 and following) and then choose a setting that matches the aperture RANGE of your lens (5-7 stops), or change your settings of the camera so that you can control the aperture from the aperture ring (as described in “D200 specifics” at the end of the instructions. i did the mod and match it with 400mm f3.5 of mine…they work great on my d7100…i relly hope that will compile all the modification instruction into one complete guide..and youtube vid will be great also…cheers! Amazing. Working on D7000 with Nikkor 80-200 2.8 and very old manual Nikkor 105 F4 Micro. Please ignore if you’ve been asked this question. I have a D90, 300/f2.8 ED mf, TC-16a. the display errors, which I can live with, or is the chip mod necessary? Finally, can I pay you to mod the TC-16a for me, pin mod and/or both, as my knarled fingers are a hinderance to say the least? Oliver: Thank you for discovering and sharing this mod, and thanks to all the contributors! – Used a soldering iron that wasn’t fine enough for the job. – Ripped out a chunk of contact 3 on the flex cable while trying to twist off excess solder. – Got too much solder on the spring 6 that prevented it from compressing. – Worse, spring 7 caught on the excess solder on spring 6 and launched off to god-knows-where. This is rather delicate work and excess solder is a real bother. 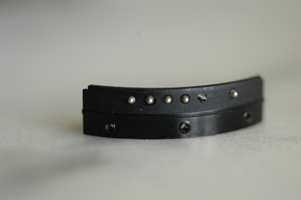 – Get a replacement spring (where from?) and try to continue and reattempt the mod with a finer soldering iron and hope that it works? – Any other options that I should consider that I’m missing? @gustafson: sorry to hear about your problems! – getting rid of excess solder is best done with solder wick. – I have no idea where to get those springs, if not from another (broken) lens. You’ll have to find an old one though, newer ones tend not to have springs. But before giving up entirely because of the spring, you can try using a spring from a ball-point pen, and twisting it tighter. I haven’t tried that, but it might be your best shot. – if contact 3 is beyond repair, you can always try to run a new, thin wire from its contact point near the CPU next to the flex pcb, and solder it onto the resistor near the CPU, or if you have a fine-tipped soldering iron, you could even scratch the solder mask of the traces on the PCB, and solder a thin wire directly onto the trace… but that’s not for the faint of heart ;-) Hopefully there’s enough left of contact 3 to solder a thin wire to. – There should be nothing to worry about with the D7100. It should behave like the D200 rather than the D100 (it can handle the aperture ring). I’d go for the extra modification in comments 8 and following, to make the TC pretend to be a 70-210, since that would most closely match your lens. Oliver, thanks for your detailed response! I was inspired by your tenacity and gave things another go. – I bought a new tip for my iron as well as a desoldering braid (they didn’t have a wick) from Radio Shack. – As for springs, I went to a watch repair store and they gave me a few spring bars for free. I was able to break them and use the springs inside as backup. – However, I was unable to successfully solder the wire tip to the spring. Part of the issue was getting solder to stick to the new solder tip. I went through most of my remaining springs and finally gave up. – I also tried to work on disconnecting pins 112 and 113 from the CPU, but was unable to get the CPU part out as it was stuck with glue at the bottom. So that will have to wait for later. -I have ordered a busted 35-70 f3.3-4.5 AF so I can use its springs and perhaps the other CPU parts if needed. Once it arrives, I’m going to give this another shot and report back. 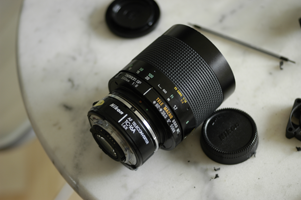 – So I received the 35-70 f3.3-4.5 AF that I was hoping to scavenge for parts. Sadly, the contact box is a different design compared to the TC-16A and is glued together as a single piece and is slimmer. Since the 35-70 arrived in usable condition aside from some fungus, I was reluctant to break it open just for the springs, as they might be a different size anyway.  – I did manage to free the CPU portion of the flexible printed circuit on the TC-16A. I did it the hard way by taking apart the front of the TC, which was a royal pain to put back together as it has a number of small tricky parts. Turns out it could have been done without taking apart the front IMO, albeit with little less room to work with. Not sure if others have been using a heat gun to loosen the glue. – As for disconnecting pins 112 and 113, is it OK to use fine tipped pliers instead? I feel my solder gun tip is way too thick to desolder these tiny, closely spaced pins. – At this point my gameplan is to buy an assorted set of spring bars for watches and identify the size that has springs that are closest in size to the TC contact springs and use those for the mod. I will report back on how it goes. – Almost there. Got a dozen or so 10mm long, 1.5mm wide spring bars from a watch store for no charge. The springs inside are comparable in size to the original springs in the TC. – I was able to solder a spring to the wire tip, and the other end of the wire to what remained of contact #3 (Oliver, thanks for the tip about scratching off the solder mask. I was able to do that with an exacto knife, although it is a delicate job like you say). However, when I tried to assemble the contact box together, it took me numerous tries and the soldering finally came apart. – I feel part of the problem is I’m having trouble getting solder to stick to the iron or to the parts. I’m going to give it another go tonight with a fresh batch of solder, and maybe using extra flux just in case. – Anyone have trouble getting the contact box closed up? My pins and springs kept falling out of place. Any tips in that regard would be appreciated. 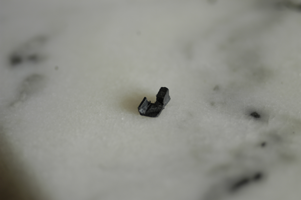 – Lastly, I have a very tiny washer (about 3mm OD) that I believe fell out when I opened the front of the TC, but I have no idea where it goes. Any pointers there would be greatly appreciated. – Gave it another go yesterday and was able to do a decent solder job. However, when I tried to close the contact box, a couple of springs jumped out. On the second attempt, the solder joint between the wire and contact #3 (more accurately, the trace for contact #3) came apart. I feel the weight of the small wire and the spring is too much for the solder joint. Also, the wire needs to be super tiny so it fits in the crowded contact box. 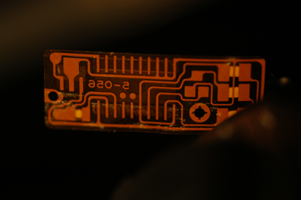 – Once thing that helped with the contact box reassembly was using simple glue to stick the flexible PCB against the backing piece before reassembly. – I have ordered a conductive ink pen to see if I can trace out a conductive line instead of using wire to make the connection from Pin #6 to Trace #3. Until it arrives, I may try to make the connection with fine copper wire and tape it down to the flexible printed circuit with insulation tape. Will report back on how it goes. – Making headway. Using a copper strand (instead of a section of stranded wire) worked brilliantly to make a viable connect to the trace for contact #3 (after scraping off the coating on the trace, of course). 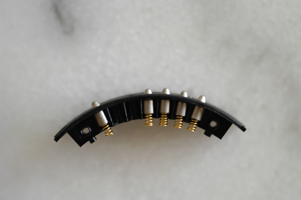 The strand was super light compared to the solder joint, but strong enough to hold the weight of the spring, and pliable and easy to position. Also, its small size allowed me to reassemble the crowded contact box effortlessly. – However, I was unable to get the lens to autofocus on the D7100. 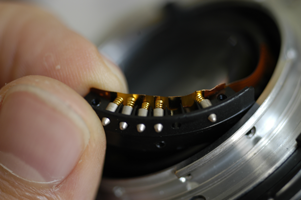 Not sure if I had a short inside the contact box due to the springs not being positioned properly, or if the springs from the watch spring bars are just not conductive enough, or if I’ve damaged the flexible printed circuit with all the tooling around. I’m hoping its the former and that I can get it working in a couple of tries. – Any advice on troubleshooting why it isn’t working will be greatly appreciated. – Redid the entire mod using a copper strand per post #215. I also reassembled the contact box a few times to make sure nothing was shorting accidentally. But no dice. Camera won’t recognize the lens, nor would it Autofocus. – Checked the circuit on the CPU side, and found a small defect that I had created, and remedied it. Still no dice. – Although I didn’t get the mod to work, I’m glad I didn’t give up after my first attempt. Definitely learned a lot about how CPU lenses work, troubleshooting electronics, and soldering technique. I cannot emphasize enough the importance of picking the right size wire for the mod. It helps if its light and pliable. As for soldering technique, making sure your wire tips and the solder tip are tinned ensure that your solder connections are made quickly without exposing the circuit to excess heat. – OK, finally some good news. Sorta. Can’t remember what drove me to start tinkering again, but I discovered I could make my own springs by winding a copper strand around a pin (from a safety pin). I felt these handmade springs were superior in conductivity to the springs I had been using from the spring bars for watch bands, which appeared to be stainless steel. However, the TC was still dead. 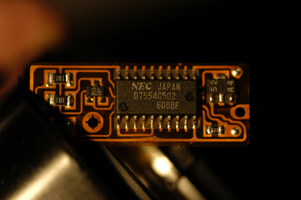 – Before giving up, I looked at the CPU end of the circuit one last time to see if I could find any broken connections. I couldn’t visually spot any, so I gently pressed down on the circuit and its components with my fingers hoping it would fix any loose connections. Then I mounted the TC on my D7100 with zero expectations that it would work. – To my surprise, I saw the full autofocus icon on the top LCD for the first time! Boy did my heart leap when I half pressed the shutter and heard the TC come to life. So exciting! I threw on a couple of manual lenses and it took me a while to figure out that they only worked wide open. – I then proceeded with the P112+P113 pin mod, and in a moment of misplaced confidence, decided to use double sided foam tape to permanently fasten the slightly beat up CPU end of the circuit to its post, thinking I would never have to see it again. The pin mod worked great, and I was able to control aperture on my 200 f/4 using both the aperture ring and the camera body! I took a bunch of sample photos while grinning in disbelief at how well it was working. – Sincere thanks to Oliver for this invention and everyone on here for your contributions that helped me get here! Such a rush! – Continuing from yesterday, was able to peel off the double sided tape from the CPU end of the circuit, although I did worsen a portion of the circuit coating which was already weak. Then I found a couple of broken contacts on the circuit, one of which required me to create a 4mm bridge with a copper strand to connect the leftmost leg of component 52 to its appropriate trace! It then struck me that I could mount the TC without its front cover to help with troubleshooting. The TC was dead at first, but after some trial and error I found I could get it to wake up by pressing down on the top left corner of the CPU with my finger. Given that the CPU is a few mm away from the front cover when assembled, with the help of a small ball of foam inserted in the gap, I was able to get back in business! Imagine that! – On a D3300, the camera instructs me to lock the lens at the smallest aperture, but when I do so, it does not seem to register it and does not allow any photos to be taken. Is that normal? – On a D7100, I am able to take photos in M & A modes, but I get an FEE error in other modes. Is that normal? Is there a way to take photos in S mode? – EXIF data for the photos indicate a 70-210 F4 AF lens set at 145mm. Is there a way to customize that on the D7100 to show a 200mm F4 lens? 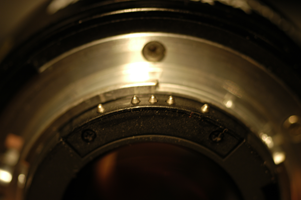 – When using faster lenses such as an F2.8, the aperture on the camera shows F4 wide open. Is there a way to tweak that to show the correct aperture? – It seems like the AF is a little bit off. What’s the proper way to use AF fine tune to check / fix that? Thank you all for your long term dedication to a subject that creates healthy curiosity. I have been following this Modified TC 16A Toic since I invested in a Nikon 300mm f2.8 ED IF. I was blown away by its potential and wanted to get the most of it, so I was rewarded by discovering the clear instructions offered here. I would like to inform the readers of my experiences to date, as I have not read any comments that relate to my concerns. 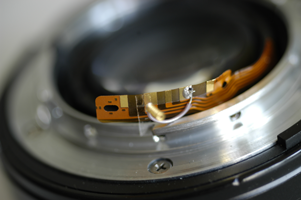 the 300mm lens with Dandelion chip had been mounted on the camera body approximately 50 times. 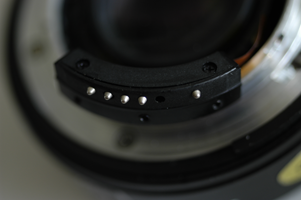 My conclusion is that if a Dandelion chip is to fitted on a lens with a intention to use a TC 16A as well, the Chip would benefit from being mounted a little bit deeper than flush with the top surface of the black metal rim that is usually shown in the installation information. 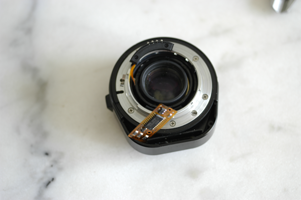 Nobody wants the broken of Chip parts in their Camera Body or Lens !! When setting up the TC 16A with the 3 lens mentioned above, I kept getting the fEE flashing and could not get rid of it, using the f control, f9 Aperture Setting. I believed the modification had to be a good one as the 300mm + Dandelion chip lens had already interfaced with it correctly. In the search for a solution and attempting to discover my mistake, I witnessed a individual rotating a small tab that projects from the top of the front face of the lens. The effect of this rotataion is that it scrolls the Aperture settings on the LCD screen, I copied this and my LCD screen did the same scrolling through the apertures and the setting of the fEE. I set this rotating tab monitoring the LCD to the f stop one stop wider than the smallest f stop of the chosen lens and then mounted the lens with the Aperture ring set to one stop wider than the smallest f stop. it is robust and does not require any further attention. As I have said I wanted to inform you of my concerns and I hope solutions. My TC 16A may have a fault in the Tabs rotating mechanism, I do not know, what I do know is that with a very small amount of additional input I have 3 EXTREMELY sharp lenses that can now function in a RETRO version of AF operation. I have joined this club, keep on with the posts. With the 300mm + TC 16A I am now capturing hedgerow birds handheld and 25% of the images are keepers, about the same as I get with the 70 – 200 f4 hand held. I have one of these working great on my 500mm f4p to make it 800mm etc. I would love to have the autofocus functionality WITHOUT the teleconverter functionality. 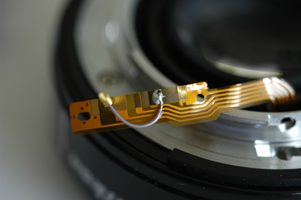 Taking the aluminium sleeve with both of the glass elements out of the teleconverter appears to stop autofocus working because the sleeve is attached to the autofocus motor. 1) If only the front glass piece on the teleconverter were removed and the back piece were kept do you think that would help? If so anyone know how to get it off? 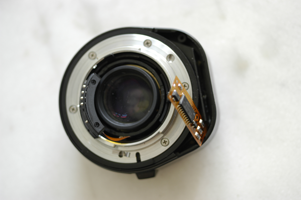 2) If both pieces of glass on the teleconverter were removed but the sleeve that they are in was still connected to the autofocus hook do you think that would help? This simply will not work at all. The TC calculates the correct AF by moving the glass elements, it basically it’s a lens itself. 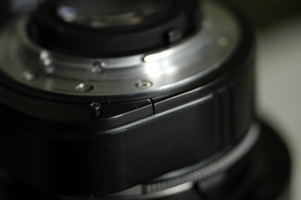 If you remove the glass elements of say a 50mm/1.8D, would you expect it AF? Simply no. Also, by removing the glass, the TC becomes an extension tube… losing all functionality. Why would you want to do that? The flange distance will simply not allow an “autofocus” adapter to be made without being a teleconverter or an extension tube of some sort. It’s not possible, physics won’t allow it. Hi – I just wanted to say THANK YOU – to Oliver and the other active contributors! Its me again (from post above). I observe an odd exposure behavior when using this TC: When I use the aperture ring on the lens, everything is fine. But when I switch to using the dial on the camera (via Custom Setting Menu: f: “Controls”, position f5: “Command Dials” -> “Aperture Settings”) I get heavy underexposure for SOME speed/aperture combinations (i.e. when I use aperture prioriy, I shoot photos with the same LV, but different speed / aperture settings. Does anybody see this also? Is this normal and I overread something on this forum? PS: This happens with different lenses I tried. Is it possible to modify the TC 16A for my Nikon D5500? If not, is there another way to make AF and AI lenses to auto focus using my camera? Please help. Thanks. Hi Russ. I don’t think this is possible. This very special TC was produced when Nikon was behind Canon and wanted to make it possible to use MF lenses on AF camers. Therefore it used the mechanical AF-connection at that time. Your camera is only supporting the much newer electronic connection. But fortunately there is still a lot of cameras out there supporting the mechanical connection, D70, D80, D90, D7x00, and all full frame cameras. Hi Heiner. I think your observed behaviour is quite consistent with Olivers description in the beginning of this thread. 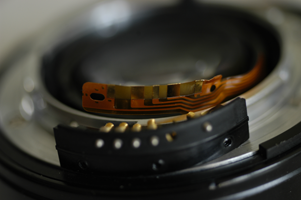 You must use the aperture ring to control the aperture. For me this works without problems. It works very well on the d2hs very sharp fast focus.on the d2xs is does not focus as sharp. I have a d700 now and only keep these other body’s because they work with the TC-16a. If I change my TC will it cease to work on the D2’s? IS THE D700 THAT much better than the D2hs or d2xs?? I have a wide lens I use in the 700 and Cary one of the D2’s with the long lens. Would the modified TC work on a D7000? Im maybe replacing the 2 D2’s with D7000 to retain the DX Crop advantage?? Hi all again so I purchased a modified Tc for my d700 and 2.8 300 mm .I am pleased to report im very satisfied with the results.very sharp.fast focus.The photo’s with this combo are better than with my d2xs with this lense and a unmodified tc. Hi, Oliver thank you so much for your insights into this TC16A conversion. Having carried this out I (at this stage without the IC pin disconnection) found that the AF operated on my D1, D7000 and D700 using f9 setting. Strange thing was when fitted back onto my old F801S the operation was still working fine which seemed rather odd to say the least. One would ask the question what was the reasoning behind Nikon’s pin variation in the first place why not utilise all of the pin connectors. Once again thank you for your support. Hi Oliver, For those who are wishing to gain access to the IC to carry out Pin 11 & 12 disconnection. The use of Shellite to soften the adhesive of the double sided tape is recommended. As Shellite is a petroleum spirit keep away from source of combustion!! A few drops applied to the edge of the flex circuit will soften the adhesive allowing an easier removal from it’s mount plate. Shellite evaporates quickly and will not damage the plastic or effect other parts. Completed the IC pin disconnection and found the mod to be a great success. I can now make better use of my 50mm f1.4, 55mm f3.5 as well as my 135mm f2.8 lenses. Greatful thanks to you and all the other contributors. HI, has anyone used this modified TC-6A with a 1000mm f11 Reflex Nikkor? Also, the D300S and D810? Is there a reason that the photos are only available as tiny thumbnails? Unfortunately they’re so small that I can’t see any details. It would be great if they could be downloaded as high resolution images. Wow, you have certainly exhibited a lot of patience to see this project through. As i read all of the comments, it seems that there have been a variety of attempts to achieve success. At this point, would it be correct to say that the modification entails two operations; moving and reconnecting one of the little plungers and, unsoldering pins 112 and 113 on the cpu chip. I’m good at following instructions, but don’t have sufficient knowledge to try a variety of experiments. A little tip that might help with the modification, will be to source a headphone wire cable. Most have a old unwanted headphone/earphone stored. The single wire strands are very supple and will manipulate into a tight space with ease. It will make the reassembly less worrying. My friend who modified my TC 16A, tried a few wires, and the headphone wire strand was his final choice. 300mm f2.8 ED AIS, 200mm F4 AIS, 135mm f2.8E, 85mm f1.4 AIS. As nobody has given you a concrete answer to your question, I will give my guess. Your first question on the 1000 mm F11: In principle it could work, but I expect that any camera will have a hard time autofocusing at F11. Your second question on cameras: I have used the modified converter with success on the D300 and the D800 and I can see no reason why it will not work just as well with the D300s and the D810. Has anyone tried the Nikon D810 with Ai-s 800mm f/5.6 ED IF Nikon with the Modified 1.6 TC? I’m wondering what your results were. Haxxored today my TC-16A. Lost one spring, but I had a scrap guitar string which I peeled and turned into a spring using a needle as a mandrel. 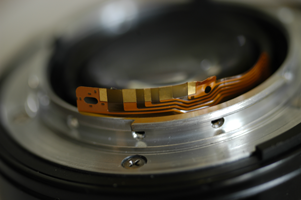 Nickel-plating conducts electricity well enough. I finally got it working A-OK. Works marvellously both on Nikon D200 and D300s. Did test shots with Walimex 500/f8 mirror lens and Tamron Adaptall 70-250/f4.5 lens. ROCK! Just incredible gadget! Haven’t yet tried my Tamron Adaptall SP 60-300 /f5.4 lens, but the results have so far been encouraging enough! Use of full-auto lenses is possible, albeit only on semi-auto mode (manual settings, raw adjustment close to the target and the rest with the TC-16A automatic). But this contraption immediately enhanced the use of mirror lenses especially on nature photography. Anyone tried the Nikon 600/4 Ai-S with modified TC-16A？Will this combination work?